In 1987, Sr. Edith Prendergast, RSC, took the helm and became Director of the Office of Religious Education, a department of the Los Angeles Archdiocese. Did you know you can register online for the 2015 Los Angeles Religious Education Congress ... and Youth Day, too? 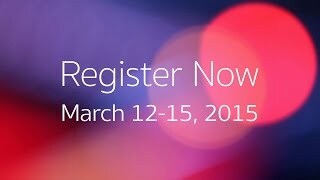 If you haven't registered yet, register online – either as an individual or as part of a group. (A "group" is 2 or more people, all paying with just one credit card). Watch our new welcome to attend Congress 2015 video by Sr. Edith Prendergast, Director of the Office of Religious Education, Christina Lamas, Associate Director and Coordinator of Youth Day, and Ernesto Vega, Coordinator of Hispanic Ministry & Adult Formation. Are you receiving our Congress Emailngs in your inbox? Pass along this emailing or our link – www.RECongress.org – to receive the latest information about Congress 2015 and encourage your friends to sign up for our Congress Emailing at www.RECongress.org/optin.htm. If you do not care to receive future updates, you can find removal information at the bottom of this message. Online registration is available for both Congress and Youth Day. Register online by credit card. You can register as individual or a "group" (2 or more people, all just paying with one credit card). Margaret Matijasevic, San Fernando Regional Coordinator of Religious Education for the Los Angeles Archdiocese, has been named as Executive Director of the National Conference for Catechetical Leadership. Scheduled to start on January 5, 2015, she will be the first woman to head the Washington, D.C.-based organization, which was founded in 1967 as a result of Vatican II’s call for a more holistic catechesis. Read The Tidings story online. Session P - "Triple D: Discerning, Deciding & Doing"
Fr. Leo Patalinghug, who hosts the TV show “Savoring Our Faith” and the radio show “Entertaining Truth,” provides practical tools to discern God’s will for you and shows how to develop the necessary virtue to do it. Returning again to Congress is Sacred Illuminations, a mystical choreography of light and sound. The evening's event incorporates the newest liturgical and fine art photography with reflections by Sister Rose Marie Tulacz, SND. Light a candle. Receive God's Word. Reflect and pray. Be still. Deepen hope. Be loved. Archbishop José Gomez is the fifth Archbishop of Los Angeles. On April 6, 2010, Archbishop José H. Gomez was appointed Coadjutor Archbishop of the Archdiocese of Los Angeles by Pope Benedict XVI. On February 27, 2011, he was installed as Archbishop of the Archdiocese of Los Angeles. He is the first Hispanic to serve as Archbishop of Los Angeles, as well as the highest-ranking Hispanic bishop in the United States. Watch the 2012 Congress interview with Los Angeles Archbishop José Gomez with Congress Live! web host Alex Venegas, conduced from the main exhibit hall at the Anaheim Convention Center. Speaker Feature: John Allen, Jr.
John L. Allen, Jr. is Associate Editor at The Boston Globe, specialized in coverage of the Vatican and the Catholic Church. He also serves as senior Vatican analyst for CNN, and for 16 years was a correspondent for the National Catholic Reporter. Allen is author of nine books and is also a popular speaker on Catholic affairs both in the United States and internationally. Veteran Vatican writer John Allen takes a 360-degree look at the highlights and lowlights of Catholic news in the past 12 months, drawing out a few big-picture conclusions about what it all means, and then outlining some important stories to watch in the year to come. This session is for Catholics who want a keen sense of what’s happening in their Church, not just in the United States, but in Rome and around the world. The Boston Globe’s John Allen will review the latest twists in the Pope Francis story, bringing into focus the overall strategy of this populist pope for a renewed and evangelically dynamic Catholicism. We will examine reform moves by Francis on financial transparency, sexual abuse, the family, and ecumenism and interfaith dialogue, suggesting what they mean not just for Rome but for the Church at all levels and in all places. 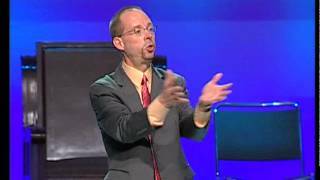 See John Allen's Period 2 Arena workshop from Congress 2012: "The Global War on Christians: Dispatches from the Front Lines." You can still order the recordings from his Congress 2012 workshops: #2-01: "The Global War on Christians: Dispatches from the Front Lines"; and #5-01: "All Things Catholic: A 360-degree Review of What’s Hot and What’s Not in the Church." Find all the recorded sessions from Congress 2012 at RECongress 2012 Recordings page. Religious Education Congress attendees can purchase specially priced Disneyland resort tickets prior to your arrival. There are discounted rates for Twilight Convention tickets (after 4 pm), 1-day 1-park, multi-day and park hopper tickets. This offer is only available online at www.disneyconventionear.com/ZMRC15A and not available at the Park. Tickets are valid Tuesday, March 10 through Sunday, March 22, 2015. The online ticket store closes 9:00 PM PST on Tuesday, March 10, 2015.